Survivors deserve justice in the aftermath of a crash. The injuries sustained in these accidents can be life-altering, debilitating or fatal. Did trucker negligence cause your loved ones death? If you experienced a serious injury or the wrongful death of a family member, you have the right to file a lawsuit against the responsible party. If you or a loved one has been involved in a truck accident in Oklahoma, Texas or Arkansas, it is crucial that you consult with an experienced truck accident lawyer as you may be eligible to recover losses related to the accident. The loss of a loved one from a truck accident fatality is an overwhelming and devastating experience. You have the right to file a lawsuit if your loved one died because of another’s negligence. A fractured or broken bone is extremely common in a trucking collision. Due to the amount of force involved, broken bones caused by any type of truck accident are often very severe. 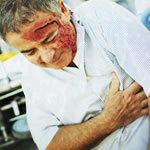 Cuts and lacerations can cause debilitating pain in many truck accident injury victims. These types of injuries can result in scars and often involve expensive and lengthy treatment processes. 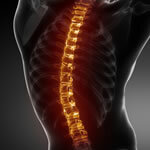 Spinal cord injuries are not always apparent. 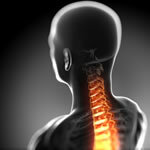 It is important for victims to seek medical attention after being involved in a wreck, as an MRI can reveal serious spinal cord injuries that can require surgery that an X-ray may not be able to pick up. One of the leading causes of fatality in truck accidents is blunt abdominal trauma. 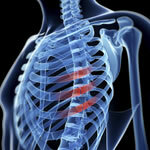 The most commonly injured organs include the pancreas, bladder, kidneys, liver and spleen. Abdominal injuries can be the most difficult type of truck injury to treat. 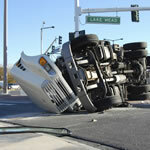 Head and neck injuries are very common in truck accident cases. Head injuries can range in severity, from a mild concussion to a serious or traumatic brain injury (TBI). A serious collision can result either in the accidental or traumatic amputation of a limb or a surgical amputation of a limb that experienced considerable tissue death and blood vessel damage. Truck accident injury victims in Oklahoma, Texas and Arkansas should seek medical attention immediately after being involved in a collision. Prompt medical care will not only help in an injury victims speedy recovery, but it will also document their personal injury claims. This can prove advantageous when pursuing compensation from the insurance company. With the help of an experienced truck accident lawyer, the chances of recovering losses from the accident increase significantly.